Hide Side Corner Store is the home of of one of the most fabulous shops in Door County, with the hugest, fin est collection of leather garments and leather accessories on the peninsula, and home accents that are unique and beautiful! And since 2014 - firearms! Since 2014 HHide Side is offering a line of firearms, pistols and ammunition! Brands like Ruger, Smith & Wesson, Browning, Colt, & Ed Brown...& a huge selection of rifles Wow! There are so many uniqie items in this shop it truly is a one-of-a-kind place to find some great treasures. We love this shop and are dazzeled everytime we come in to do an update. The leathers are styled Australian, Western, Motorcycle and contemporary in fashion - Hide Side has it all! The burst of warm colors from all the leathers and the fragrance of the garments are awesome as you walk in! And the home accents are highlighted throughout the shop. The shop is also loaded with accessories for your home - unique wine racks, ceramics and a whole lot more. Hide Side Corner Store is loaded floor to ceiling with supple leather jackets and coats, some with fur trim, some with fringes, some with hoods, snaps, zippers and more! From combined canvas and leather outerwear to warm fuzzy boots, Hide Side puts it all together! 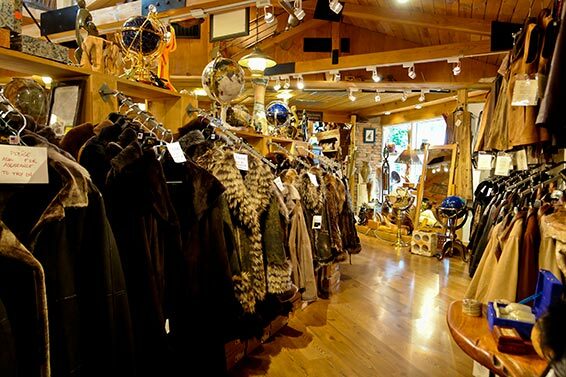 Combine the fine outerwear with high-quality mittens, hats, moccasins with warm fur lining, belts, wallets, hand bags and briefcases, vests of every imaginable style – and you have one fabulous shopping experience! Almost all of my leather jackets, belts and wallets are from Hide Side - we love this shop. Some of our reviewers have purchased many items in these shops over the years, and they have been the utmost in quality and durability. I still have a jacket from about 10 years ago that is till in super condition! I have bought leather jackets here for myself and for gifts and have always been satisfied! And the owners (this is a family-run business) are super-nice people, always helpful, and always respectful of your time and interests. The Hide Side Corner Store is loaded with goodies too, including sweaters, jackets, belts and more. In addition the home accessories include fabulous pottery to creative wine racks and other accent pieces for your home. This shop is beautiful! Walk in and you will feel right at home with the look and feel of the shop, and with the friendly and efficient staff. The father and the son are usually at the shop, and their mom actually has a women’s apparel store in Fish Creek called Hide Side Boutique. This family-run business is fantastic - they find great, unique clothing and things for your home, the staff is super-friendly and helpful, and the store is just a visual treat! In short, we love this shop, and we shop here often for our own clothing and home needs. You will find it a delight as well! This is a wonderful shop for all ages, for both men and women! If you are in the market for leather goods or home accessories, or just want to see one immense selection of the some of the world’s finest lines of leather goods, drop in Hide Side Corner Store, and certainly click through to their website for more information! We love this shop and will continue to shop here frequently! And don't forget to tell Mike or Jim that DoorCountyNavigator.com sent you!